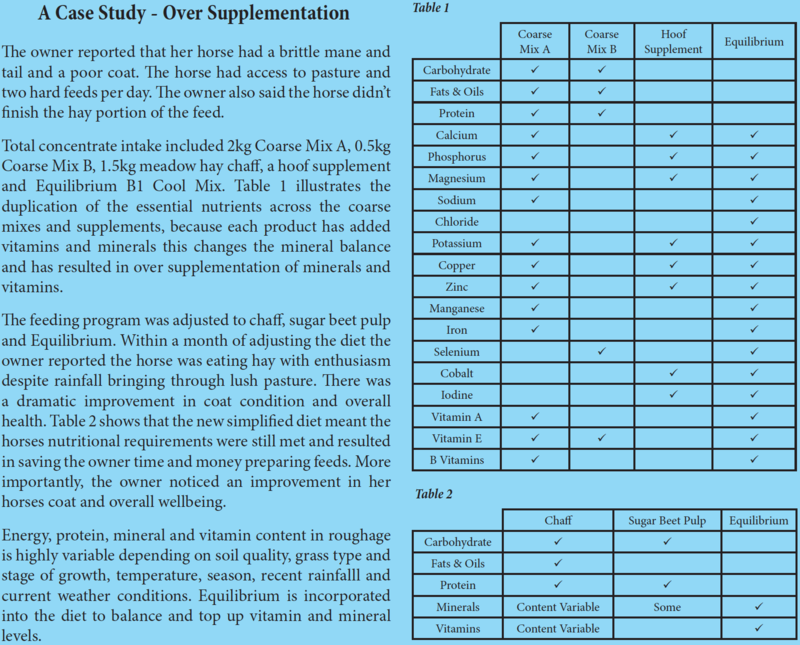 We have prepared this brochure to assist horse owners in understanding the ingredients and composition of supplements so that they can make informed feeding decisions and avoid common mistakes such as over supplementation. A supplement is a product that contains one or more vitamins, minerals, herbs or amino acids and is added to the diet of a horse. 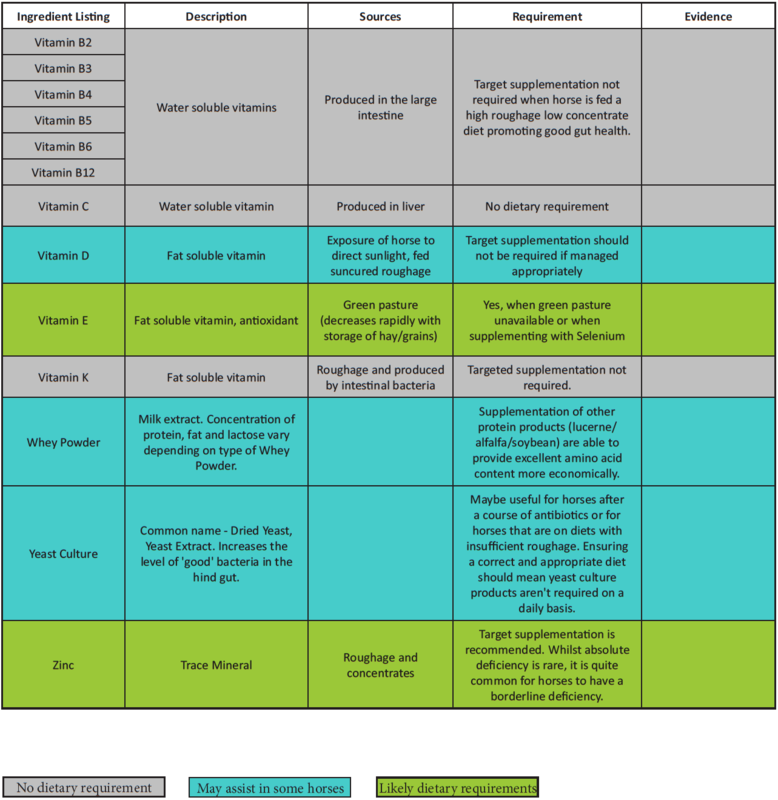 Over supplementation is increasingly becoming an issue. This occurs when owners are feeding more than one supplement with ingredients that overlap resulting in imbalances and excesses of vitamins and minerals in the diet. 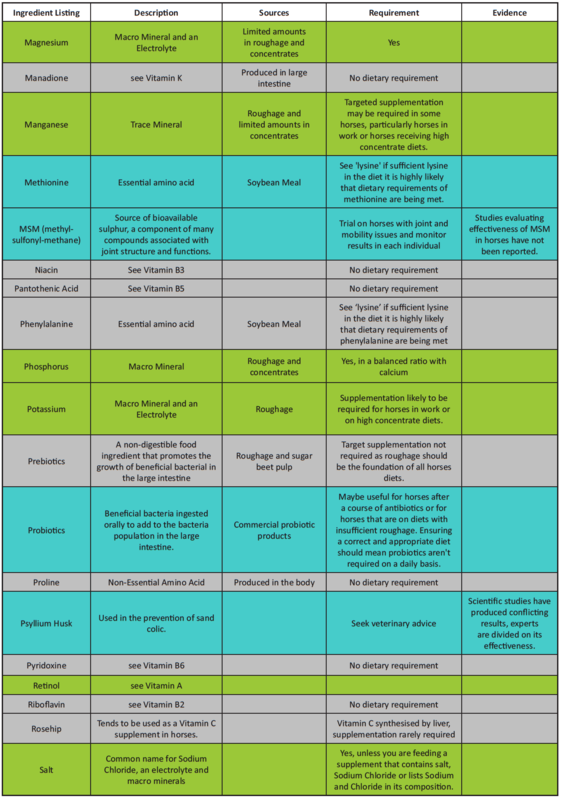 When should you feed supplements? 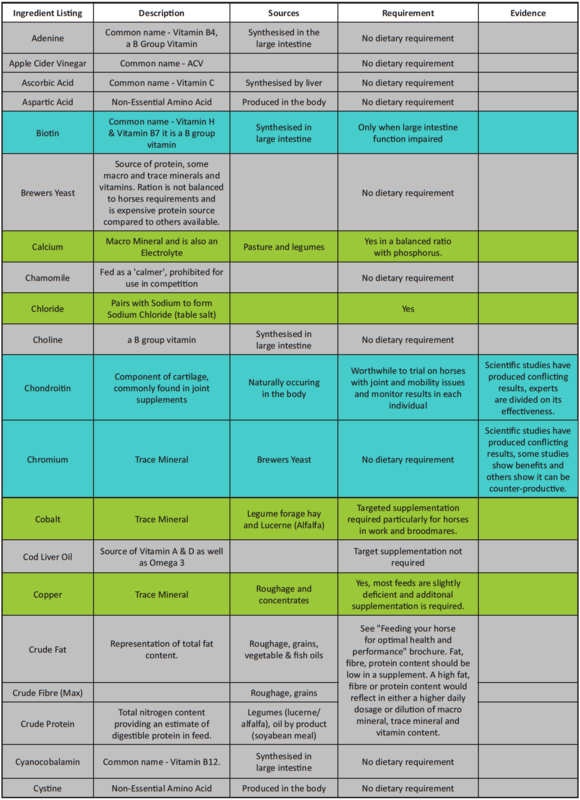 The majority of dietary requirements should be met from roughage sources. Supplements, concentrates, pellets and coarse mixes should only be used to top up vitamin, mineral, energy and protein levels. Supplements should be included in the diet of most horses; the exception is when horses are fed the recommended dosage of a pellet or branded complete horse feed. In practice most, owners do not feed the recommended dosage of pellet or branded feed which results in reduced vitamin and mineral intake. 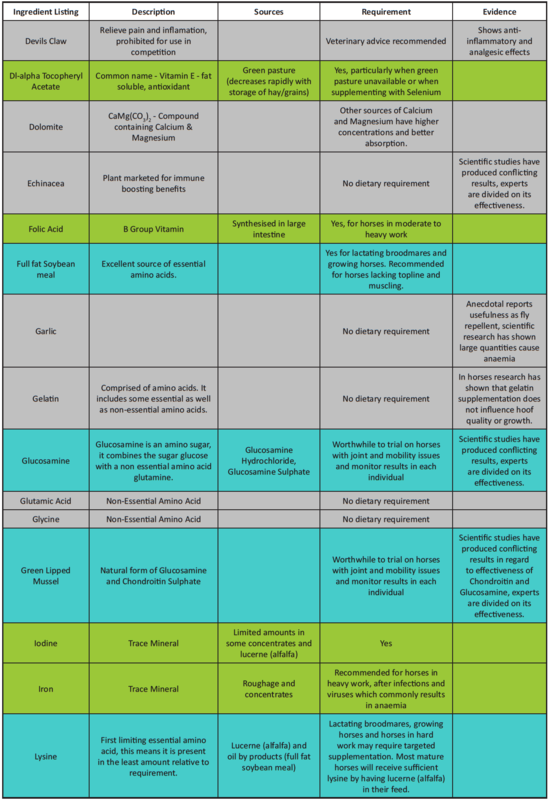 Macro Mineral – Mineral required in grams per day. Non-Essential Amino Acid – Synthesised by the animal, not required in the diet. 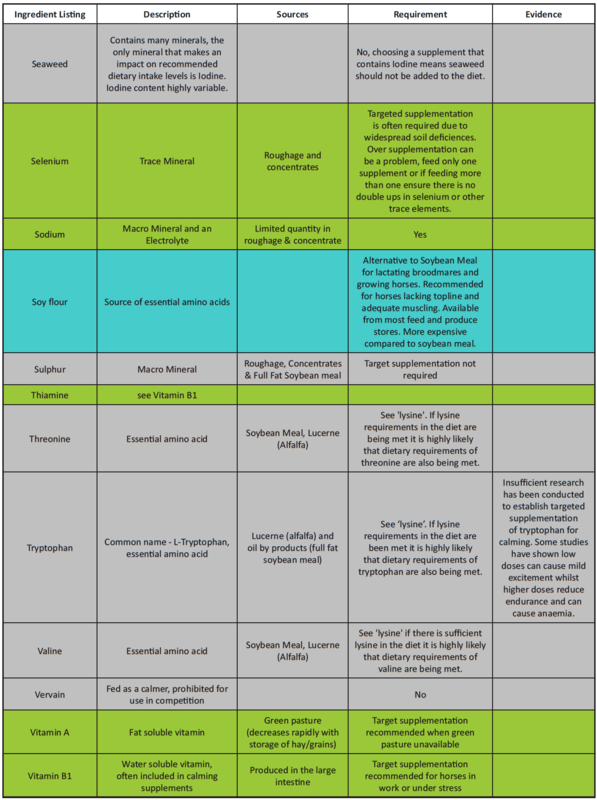 Trace Mineral – Mineral required in milligrams per day.